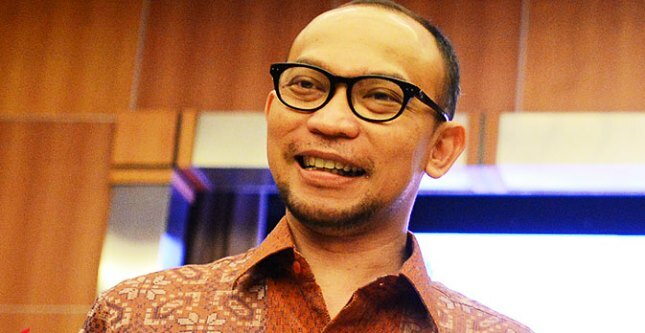 INDUSTRY.co.id - Jakarta - Economist who is also former Finance Minister, Chatib Basri, said Indonesia's economy needs to be encouraged to shift from natural resource-based commodities to manufacturing so as to contribute to global growth performance. "Now we cannot really enjoy a big increase in global growth, as well as economic improvements in the United States, because the country that can enjoy it is a manufacturing-based economy," said Chatib met after the launch of the Bureau of Economics and Research Research / IBER) in Jakarta, Friday (26/1/2018). Economist from the University Of Indonesia (UI) explained that the share of exports to Indonesia's gross domestic product by 25 percent, and most exports are energy and commodities. This shows that Indonesian products depend on global price conditions. As the price of coal and palm oil rises, for example, the Indonesian economy also rises as it did in the period 2002 to 2012. "However, as the price collapsed, the Indonesian economy also declined, which also explains why Singapore's economic growth in the third quarter of 2017 could grow 5.2 percent (year-on-year / yoy) and Malaysia 6.2 percent (yoy)," he said. Chatib explains why Indonesia is not enjoying the world's economic growth because its base is not manufacturing. He said Indonesia is heading in that direction and to achieve it takes time. "If we want to push growth again there, then we have to run to 'manufacturing-based', and it will not happen instantly," he said. To support a manufacturing-based economy, people's purchasing power also needs to be strengthened. Chatib assesses what the government needs to do in the short term is to get people to have the ability to spend. "The poor can spend money if they can get money, whether through cash transfers, family hopes, or 'cash for work' programs, they're given money, all kinds of programs like that help (purchasing power)," he said.